Subscription television (STV) continues to withstand the erosion of advertising dollars better than its free-to-air counterpart, according to figures released by the Australian Subscription Television and Radio Association (ASTRA). Ad revenues for the pay TV sector increased by 12% year on year in 2012 to hit $439 million, according to figures compiled by Ernst & Young. By comparison, ad sales among free-to-air TV networks stagnanted or declined, particularly towards the end of the year. In December financial booking data from media agencies compiled by Standard Media Index (SMI) show overall TV revenues down by 2.9%. ASTRA CEO Petra Buchanan puts pay TV’s strong performance down to quality of content and innovation catering to multiscreening behaviour. “Strong quality content, like the London Olympics offered over eight channels and a commitment to provide popular US programs within hours of airing has drawn the attention of viewers and advertisers,” Buchanan says. The second half of the year performed less strongly than the first, with net advertising revenues for the period 1 July to 31 December 2012 up by 7% to reach $228 million. Free-to-air networks started 2013 with soft results. The total TV market posted a 4% increase in bookings, but was buoyed by a 9.2% increase for subscription TV, according to SMI. 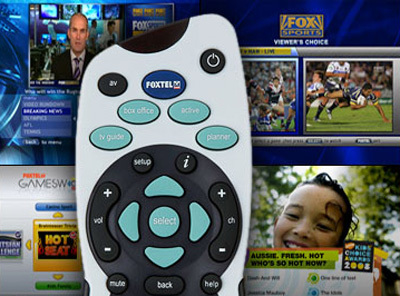 Subscription TV now reaches over 7 million Australians weekly.